How do we grow your salon’s Instagram? We cross post to your Facebook page, too! 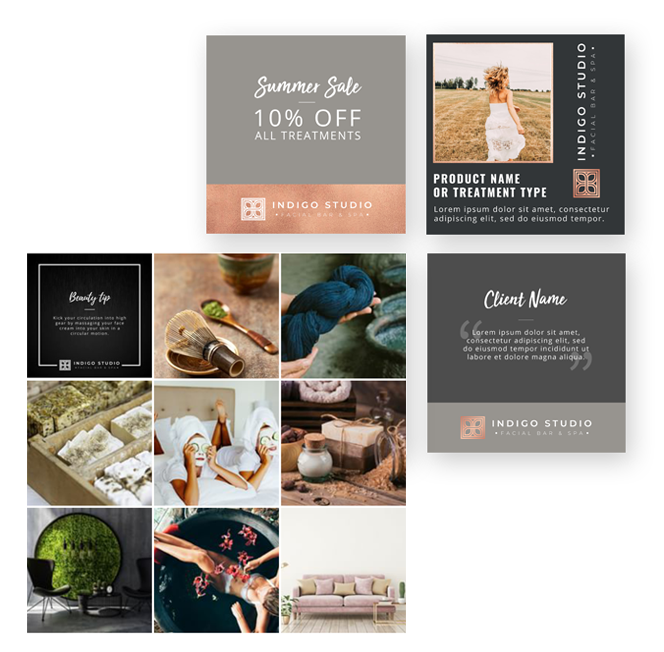 When you’re launching a new beauty salon, one of the best ways of getting the word out is through Instagram! Shireen’s new facial bar needed a fresh and beautiful feed to match their fresh approach to skincare. We designed branded social media graphics and created a stunning Instagram feed for them. 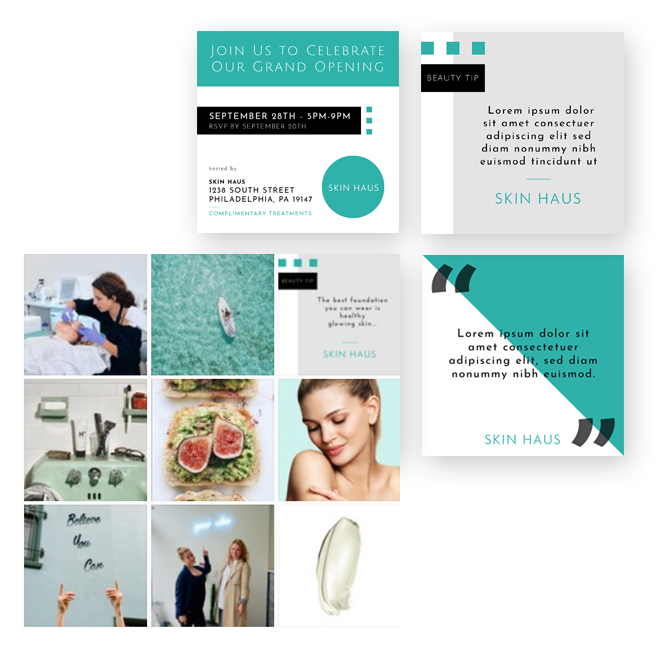 We launched the Skin Haus Instagram feed from scratch, and it’s quickly becoming a huge attractor for new clientele! Indigo and Co knew that before launching their skincare spa, they wanted to get the word out through social media. Through posting high-end content on and regularly interacting with potential clients on Instagram, we’ve grown their following to more than 3,500 skincare fans. Our social media expert Diana only grows your following through organic means, never with bots. We do not recommend anyone to use bots or automated software on Instagram. Hannah knew that Instagram was one of the major client acquisition channels for her salon. But like most salon owners, she didn’t have time to post engaging content regularly. For the past year, we’ve been working with the Cabana on their Instagram and Facebook feeds to promote them as THE name in beauty locally, and create brand awareness for new clientele. We’ve grown their engagement and their following to more than 4,800 people. Get it touch with us and we’ll set up a quick chat to answer your questions!